Hunter's bunny, who flew commercial thanks to $600 in campaign funds spent illegally, cited as reason congressman wanted to gut independent House Ethics Committee now investigating his use of campaign funds for personal expenses. Quite the contrast this week between Rep. Darrell Issa, R-49th District, and Rep. Duncan Hunter, R-50th District, concerning the walk-back on House Republicans’ initial attempt behind closed doors to fill the swamp by way of demolition of the independent Office of Congressional Ethics. And Hunter’s press rep says a bunny rabbit is the reason why he voted to gut the independent committee that recently has investigated him for numerous instances of spending campaign funds for personal expenses. Hunter acknowledges breaking the ethics rules, but blames a variety of sources, including the mistaken use of credit cards by his wife — who doubles as paid campaign manager — due to their colors. He repaid $62,000 of those personal expenses masquerading as campaign funds the week before November’s election. The independent Office of Congressional Ethics was created to investigate allegations of misconduct by lawmakers after several bribery and corruption scandals sent members to prison. The office has a distinctly North County connection. It was created in March 2008 after the cases of former Rep. Randy “Duke” Cunningham, R-Calif., who served more than seven years in prison on bribery and other charges; as well as cases of former Rep. Bob Ney, R-Ohio, who was charged in the Jack Abramoff lobbying scandal and pleaded guilty to corruption charges and former Rep. William Jefferson, D-La., convicted on corruption in a separate case. Cunningham, of Oceanside although he later moved to Rancho Santa Fe with a house bought with Abramoff money, represented California’s 50th Congressional District, now ironically, or appropriately, occupied by Hunter. Issa, previously dark on social media, trumpeted his opposition to gutting the office. Hunter, voted…Well, his representative wouldn’t say, after several attempts for comment. However, his rep told the Press Enterprise he voted to gut the independent office that continues investigating Hunter’s transgressions. More on that a bit later. Under the ethics change pushed by Rep. Bob Goodlatte, R-Va., Monday, the non-partisan Office of Congressional Ethics would have fallen under the control of the House Ethics Committee, which is run by lawmakers. House Republicans voted 119-74 for the Goodlatte measure despite arguments from Speaker Paul Ryan, R-Wis., and Majority Leader Kevin McCarthy, R-Calif., against the change. However, when the smoke cleared Tuesday — and House Republicans were deluged from phone calls from outraged constituents — surprise, they pulled back the ethics change. When contacted, Issa’s press representative Calvin Moore quickly responded, saying the Vista congressman had opposed gutting the office. Later, Issa posted tweets and on Facebook his opposition to the ethics office evisceration proposal. Attempts to smoke out Hunter proved unsuccessful. His press representative, Joe Kasper, didn’t respond to repeated calls for comment. On Hunter’s Facebook page: Bubkis, as in nothing. His last posting was a Dec. 29 reference to the El Cajon veteran of the year. Hunter clearly voted no and Kasper confirmed this to the conservative Press-Enterprise — which covers only the smallest segment of the 50th District — defending the proposed procedural changes. House ethics? Not if my bunny won’t fly on campaign funds, according to Duncan Hunter spokesman Joe Kasper. 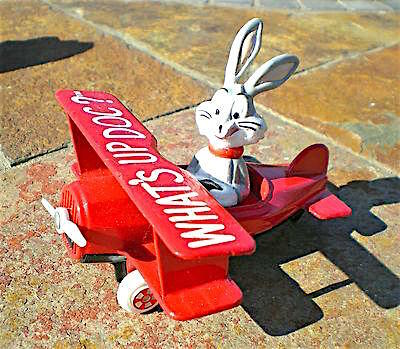 His cited reason for wanting to gut House ethics oversight came to light as Kasper addressed one of the many charges brought against Hunter recently by the Office of Congressional Ethics; this one, all new, concerned the congressman’s expenditure of $600 in campaign funds for airline tickets for the — hold on to your carrot — family rabbit. Release of the full investigative report into Hunter’s campaign spending was postponed until after this week. Use of campaign funds for personal benefit is prohibited by federal law, as it might give undue influence to contributors. Most of Hunter’s campaign funds come from defense and transportation companies whose business is affected by committees upon which he serves. As an example, Kasper mentioned the rabbit transportation fees — which were apparently charged to the campaign credit card by mistake, instead of using airline miles racked up on the campaign dime. Be the first to comment on "Bunnygate: Hunter down rabbit hole, votes to abolish Office of Congressional Ethics"